Maine boatbuilder Matthew Sledge worked for a dozen years with high-tech composites to build some of the finest racing sailboats around. Sledge built and repaired more than 65 vessels as part of the team at Goetz Custom Boats in Bristol, R.I., including America’s Cup and Whitbread/Volvo Ocean Race boats. Clearly a firm believer in the wooden boat, he’s set up shop as Samoset Boatworks in Boothbay, Maine. 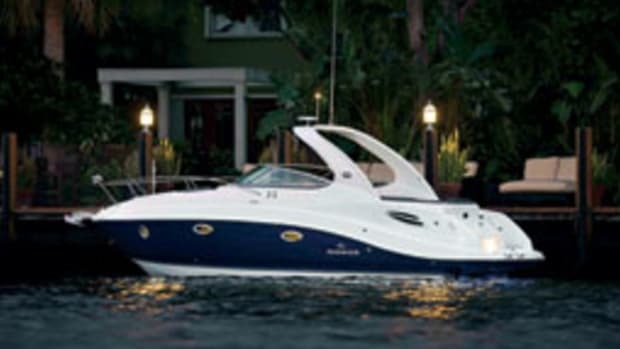 His first boat is a cold-molded beauty called the Samoset 30. 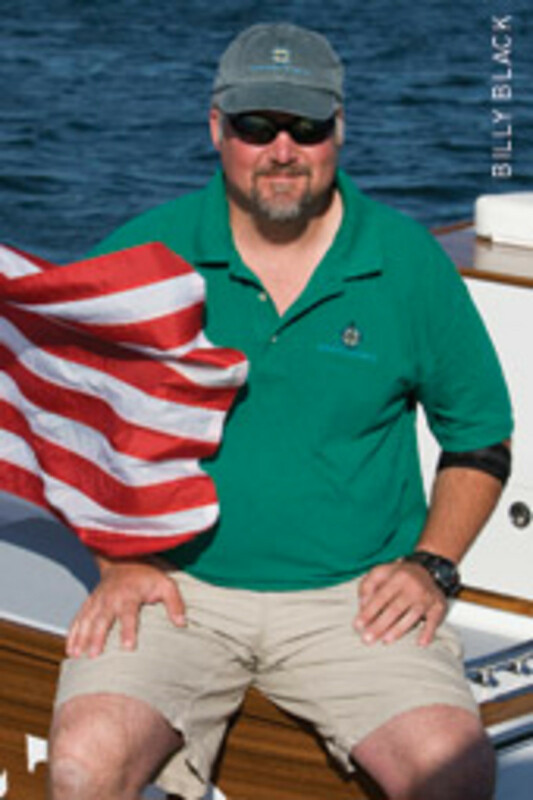 Sledge approached naval architect Doug Zurn. “I told Doug I wanted a dry-riding boat, that no matter how snotty it was coming back from Monhegan [Island], you’d stay dry,” says Sledge. The hull is stable at rest and stable under way, he says, and he has experienced wind-over-wave conditions that proved to him how dry it is. “She’s got a bit of a Down East hull shape as far as the sheer goes, with just a hint of Carolina flare at the bow to keep her dry,” he says. 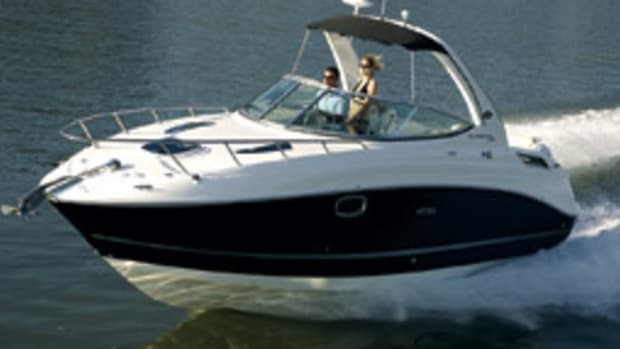 In the end, several design and construction characteristics mark the difference between the Samoset 30 and the 24-foot launch that inspired it. The skinny 24-footer was built of traditional plank-on-frame construction, with a round bilge and a gas inboard. The cold-molded wood-epoxy Samoset 30 has more beam, hard chines, a modified-vee hull shape, and diesel propulsion. However, the timelessness of Down East good looks connects the boats. Though Sledge builds his boats in Maine and calls the Pine Tree State home, he hails from Marblehead, Mass., where he was raised on and around the water. 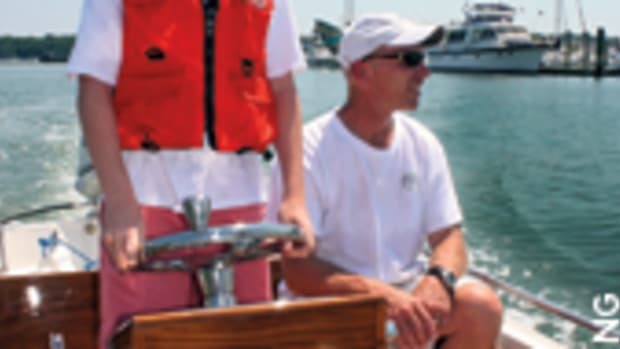 “My father’s always had sailboats, so I always went boating with him,” he says. “I grew up sailing with Dad.” In fact, Sledge says his love for his current home state came from cruising the Maine coast with his family in his youth. Early in life, he dreamed of designing boats. “Ever since I was a little kid I wanted to be a naval architect,” he says. 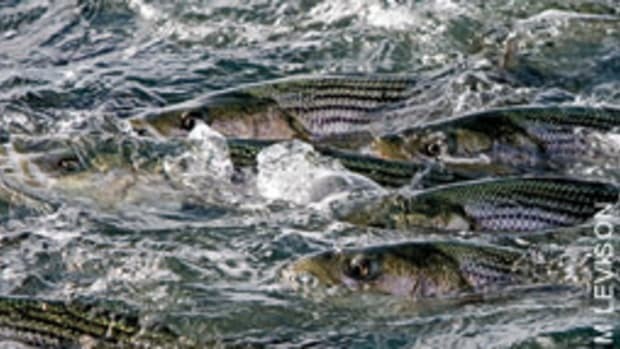 After graduating from Tabor Academy in Marion, Mass., he attended The Landing School in Arundel, Maine, where at one point he stayed on at the end of the semester for a hands-on boatbuilding course. That decision to hang around proved fateful. Today, boatbuilding is once again a family affair for Sledge. In addition to the guidance of his father, Sledge’s girlfriend keeps the company checkbook, and her father, who used to run a small boatyard in East Boothbay, occasionally works in the shop. Sledge’s young son and daughter are often under foot, too. Cold-molded construction results in a wooden boat encapsulated in epoxy, which is then sheathed in fiberglass cloth. 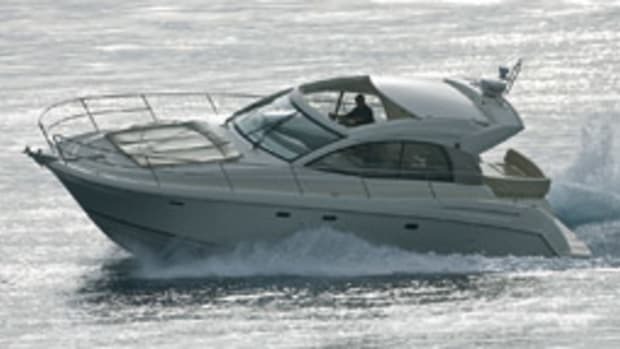 The first Samoset 30 took 18 months to build. Sledge worked alone for the first nine or 10 months, he says, but finished the boat with a crew of three, who are still part of the operation. “With cold molding you can get a nice stiff, light hull,” he says. With full fuel tanks and water tanks, the Samoset 30 weighs in at less than 8,000 pounds. The boat’s efficient, too. “It’s a proven design on our part — very easily driven through the water and fuel-efficient, dry and soft,” says designer Zurn. 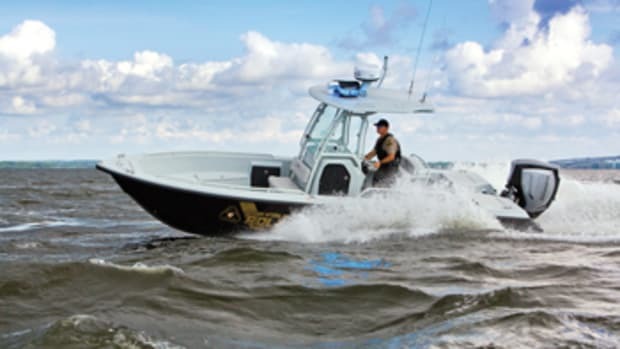 From a builder’s perspective, Sledge says, cold molding is cost-effective for limited-production boats because it doesn’t require a lot of expensive tooling. He says he invested a fraction of the price of a hull mold on his building jig. Fit and finish, however, set the Samoset 30 apart. Zurn describes a boat with Awlgripped bilges and the underside of the deck finished. “Places you wouldn’t usually see are perfect,” he says. Sledge built the first boat on spec to get his company started. He describes hull No. 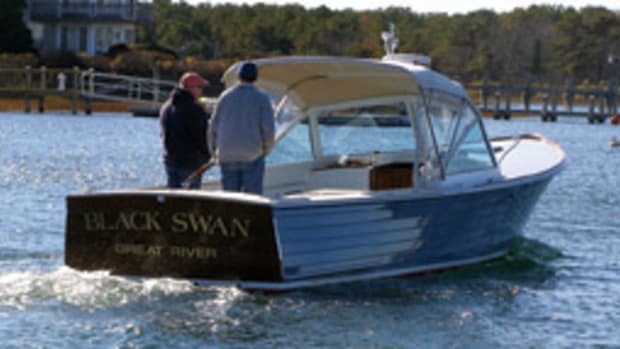 1 as a “gentleman’s dayboat.” While it has a couple of rod holders, it’s fitted out with plenty of teak and brightwork, and it has an enclosed head compartment in the center console, with a VacuFlush marine head and a stainless-steel sink. The price tag on hull No. 1 is $425,000. “Basically I set it up as a showpiece to say, ‘This is what I can do,’ ” says Sledge. The boat has stainless steel deck hardware and grab rails, Awlgripped deck and hull, and a varnished teak deck coaming, toe rail and flagstaff. “Less varnish is less money,” Sledge quips. 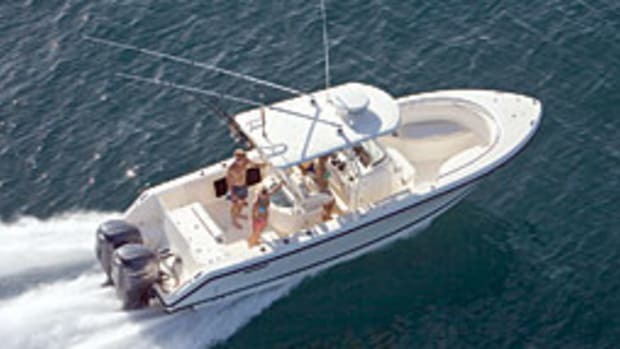 He has already received interest in building a 30 as a pure fishing boat, with outriggers and bait wells. He also could move the forward bulkhead aft and install a V-berth. “You can have the boat set up any way you like,” he says. 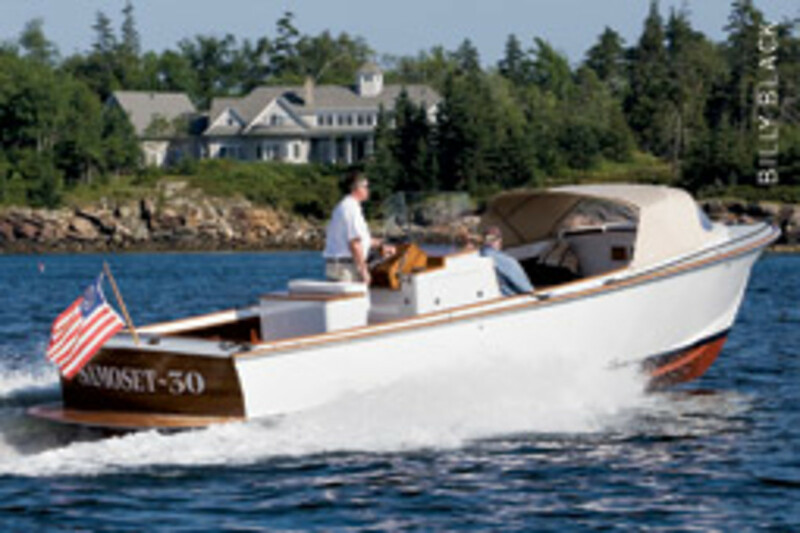 CONTACT: Samoset Boatworks, Boothbay, Maine.